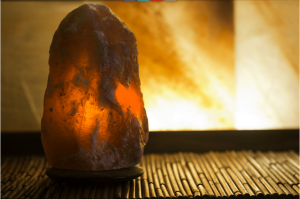 Have you ever experienced the amazing healing properties of Himalayan Salt Lamps? If not, then you should! 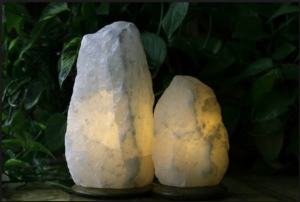 The negative ions that are released when the salt is heated pose many positive benefits to the body and soul. 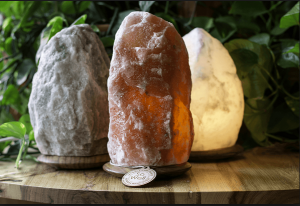 We love So Well Fair Trade Himalayan Salt Lamps because they are eco-friendly, sustainably created, fair mined and handmade from ancient salt crystals by skilled artisans in Pakistan. We love So Well’s motto: “Inspired by the simple beauty of nature, we create natural products that are beautifully simple”. Thus, you can now rest assured that you know what it means to the planet to purchase Fair Trade Himalayan Salt products. In some parts of the world, Himalayan salt is mined using child labor in horrendous conditions, for almost no pay. 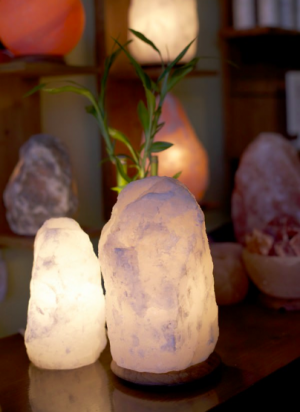 (SoWell) Himalayan salt comes only through ethical and sustainable sources via the highest standards in Fair Trade Agreements that ensure that the mines hire only adults, use environmentally sustainable means; and So Well makes sure that our skilled artisans and craftsmen that carve our lovely Himalayan salt lights for example, or fashion the wooden bases from sustainable wood, or create our lovely Himalayan salt pendants wrapped in copper or silver—that these artists are cared for, that their families are cared for, and that their environment is safe so that generations of miners can continue to thrive just as their mothers and fathers did. This is the So Well way.